We Can Fix Vaillant, Ideal, Potterton & Baxi Boilers. Expert Boiler Repairs In Streatham Provided By Fully Qualified Engineers. Our Emergency Response Team In SW16 Can Respond To Gas & Heating Related Emergencies, 24 Hours A Day. Do you need reliable same day boiler repairs in Streatham, carried out by true experts? We carry out expert installations and servicing, that always exceed your highest expectations. It does not matter what the make of boiler is. We have the skills and experience to fix them, error free. 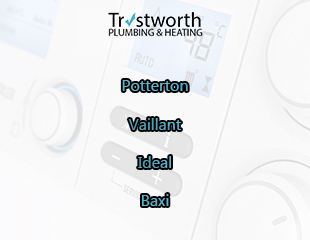 We are very comfortable working with (and fixing) Ideal, Baxi, Potterton, Ideal, Vaillant and Baxi models. There are great advantages of having boiler services. The main advantage is that you can make sure everything is operating at full efficiency. Trustworth Plumbing offers reliable home heating solutions. We are on the gas safe register and our registration number is 301783. Safety is key when working on any type of home boiler. All of our customers get to see first hand that we take safety very seriously. When you are working with gas, you must respect it 100%. Our work is always of the highest quality, but we aim to further improve, where we can. We offer sensible aftercare packages, that will help your appliance, especially in the colder months. Our Streatham boiler repairs team are hard-working and fully dedicated to excellence. We have built a solid reputation over the years for being very reliable. Whatever fault your central heating system is experiencing - we can find it. Any repair we do is carried with complete precision and designed to last. We recommend a 'service' at least once every year. For added peace of mind you can have a twice-yearly service. After we finish your boiler repair, we always stress that it will not last forever. However we give tips on how you can help its longevity. By having regular checks / maintenance on it you can save yourself a whole lot of trouble. The less efficient it is the more you end up spending on fuel. In the event your boiler breaks down, you can end up with no heat or hot water. In the colder, winter months, this will be a very testing time for you. You should call our emergency team immediately, because they are experts at dealing with this. There are always advancements being made in boiler technologies. Homeowners will eventually benefit from them. Our boiler repair Streatham team love tackling technically challenging repairs. We also understand that we can improve the quality of our work by incorporating the latest technologies (backed by top industry organisations). Are you experiencing an unexpected boiler breakdown in SW16? If so, you should dial 07951538977. In fact, store that number in your phone so whenever you have a heating emergency, you can contact us very easily. Streatham is in the Borough of Lambeth and has two distinct districts (Hill & Common). 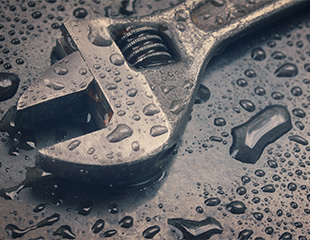 If you are a local organisation, business or landlord, you can trust us to do precise repairs. We carry out every possible safety check there is; giving you peace of mind. Our boiler engineers can find hidden faults that many others fail to spot. Instead of just aiming to get your appliance back to normal working condition - our team aims to make it work more efficiently. In addition our advice is there to help protect against the frequency of future breakdowns from happening. If you are looking for precision repairs, then our team are happy to help. We can easily install the most high quality boilers currently on the market (Potterton, Vaillant, Baxi or Ideal). We can professionally service them so they operate with maximum efficiency. You must choose a qualified engineer otherwise you are putting your safety at risk. An unqualified person will make mistakes and some of those mistake can even be fatal. Select the right servicing package for your household and you will receive excellent installation aftercare. Call us, so we can discuss the best maintenance option for you. We have a truly dedicated boiler installations team, who love the work they do. They can advise you on how you can safely dispose of your old boiler. We offer a 3 year guarantee on all installations. For all boiler emergencies in SW16, there is only one company to call - Trustworth Plumbing. Contact our 24 hour response team to attend your property and assess the problem. 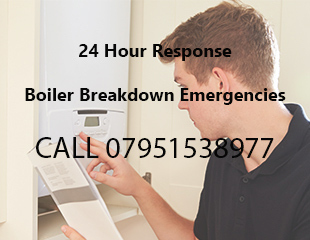 Our same day response service enables us to fix your boiler problems within hours of them happening. We understand this type of heating emergency can be a very testing if you are elderly or have young children in the house. Our team does its very best to arrive, as soon as possible. Our dedicated company covers the South-West London region. Homeowners, landlords and business owners, trust us to get the job done right. We have the right tools skills and experience to deal with any technically challenging repair.